The reality, though, not so much. The idea of Evidence Based Medicine (EBM) is great. The reality, though, not so much. Human perception is often flawed, so the premise of EBM is to formally study medical treatments and there have certainly been some successes. 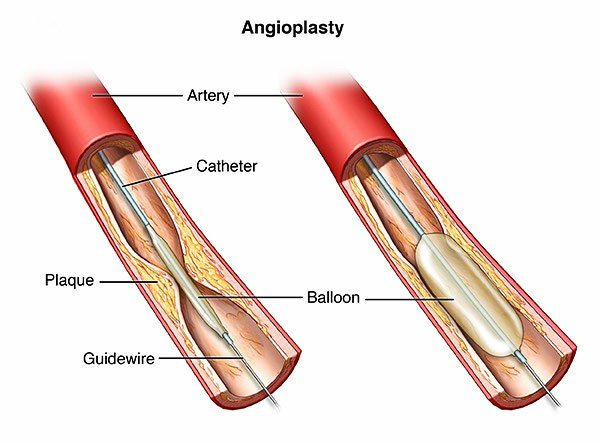 Consider the procedure of angioplasty. Doctors insert a catheter into the blood vessels of the heart and use a balloon like device to open up the artery and restore blood flow. In acute heart attacks studies confirm that this is an effective procedure. In chronic heart disease the COURAGE study and more recently the ORBITA study showed that angioplasty is largely useless. EBM helped distinguish the best use of an invasive procedure. So, why do prominent physicians call EBM mostly useless? The 2 most prestigious journals of medicine in the world are The Lancet and The New England Journal of Medicine (NEJM). "The case against science is straightforward: much of the scientific literature, perhaps half, may simply be untrue". I take no pleasure in this conclusion, which I reached slowly and reluctantly over my two decades as an editor". Evidence based medicine is completely worthless if the evidence base is false or corrupted. It's like building a wooden house knowing the wood is termite infested. What caused this sorry state of affairs? The academic institutions of this country are allowing themselves to be the paid agents of the pharmaceutical industry. I think it's disgraceful". The people in charge of the system , the editors of the most important medical journals in the world, gradually learn over a few decades that their life's work is being slowly and steadily corrupted. Physicians and universities have allowed themselves to be bribed. The examples in medicine are everywhere. Research is almost always paid for by pharmaceutical companies. But studies done by industry are well known to have positive results far more frequently. Trials run by industry are 70% more likely than government funded trials to show a positive result. If EBM says that 2+2 = 5 is correct 70% of the time, would you trust this sort of 'science'? For example, in the case of antidepressants, 36/37 studies that were favorable to drugs were published. But of the studies not favorable to drugs, a paltry 3/36 were published. Selective publication of positive (for the drug company) results means that a review of the literature would suggest that 94% of studies favor drugs where in truth, only 51% were actually positive. Suppose you know that your stockbroker publishes all his winning trades, but suppresses all his losing trades. Would you trust him with your money? But yet, we trust EBM with our lives, even though the same thing is happening. 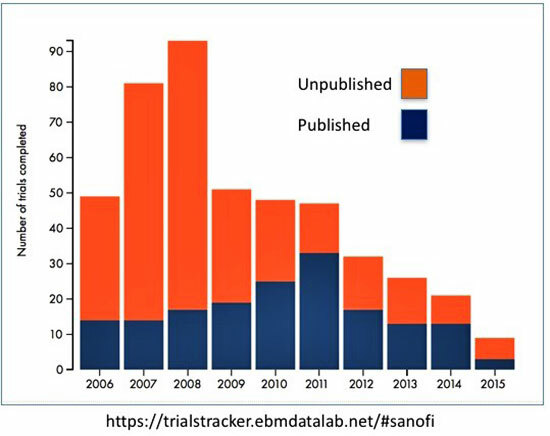 Let's look at the following graph of the number of trials completed versus those that were published. In 2008, the company Sanofi completed 92 studies but only a piddly 14 were published. Which ones do you think will be published? The ones that favor its drugs, or the ones that prove their drugs do not work? Right. Keep in mind that this is the only rational course of action for Sanofi, or any other company to pursue. It's idiotic to publish data that harms yourself. It's financial suicide. So this sort of rational behavior will happen now, and it will not stop in the future. But knowing this, why do we still believe the evidence based medicine, when the evidence base is completely biased? An outside observer, only looking at all published data, will conclude that the drugs are far, far more effective than they are in reality. Yet, if you point this out in academic circles, people label you a quack, who does not 'believe the evidence'. Or consider the example of registration of primary outcomes. Prior to year 2000, companies doing trials did not need to declare what end points they measured. So they measure many different endpoints and simply figured out which one looked best and then declared the trial a success. Kind of like tossing a coin, looking at which one come up more, and saying that they were backing the winning side. If you measured enough outcomes, something was bound to come up positive. In 2000, the government moved to stop these shenanigans. They required companies to register what they were measuring ahead of time. Prior to 2000, 57% of trials showed a positive result. After 2000, a paltry 8% showed good results. Or this example of a review paper in the NEJM that fracture rates caused by the lucrative bisphosphonate drugs were "very rare". Not only did the drug companies pay lots of consulting fees to the doctors, three of the authors of this review were full time employees! To allow an advertorial to be published as the best scientific fact is scandalous. Doctors, trusting the NEJM to publish quality, unbiased advice have no idea that this review article is pure advertising. Yet, we still consider the NEJM to be the very pinnacle of evidence based medicine. Instead, as all the editors of the journals sadly recognize, it has become lucre-based publishing. Mo money = better results. it's insanely profitable for journals to take money from Big Pharma. Journals want to be read. So they all try to get a high Impact Factor (IF). To do this, you need to get cited by other authors. And nothing boosts ratings like a blockbuster produced by Big Pharma. They have the contacts and the sales force to make any study a landmark. A less obvious benefit is the fees that are generated by Big Pharma purchasing articles for reprint. If a company publishes an article in the NEJM, they may order several hundred thousand copies of the article to be distributed to unsuspecting doctors everywhere. The NEJM publisher Massachusetts Medical Society gets 23% of its income from reprints. The American Medical Association - a gut busting 53%. A recent study by Liu et al in the BMJ shed more light on the problem of crooked journals. Crooked journal editors. Editors play a crucial role in determining the scientific dialogue by deciding which manuscripts are published. They determine who the peer reviewers are. Using the Open Payments database, they looked at how much money the editors of the most influential journals in the world were taking from industry sources. This includes 'research' payments, which are largely unregulated. As mention previously, much 'research' consists of going to meetings in exotic locale. It is funny how many conferences are held in beautiful European cities like Barcelona, and how few are done in brutally cold Quebec City. Of all journal editors that could be assessed, 50.6% were on the take. This does not include an average $37, 330 given for 'research' payments. Each editor of the Journal of the American College of Cardiology received, on average $475 072 personally and another $119 407 for 'research'. With 35 editors, that's about $15 million in bribes to doctors. No wonder the JACC loves drugs and devices. It pays the private school bills. Mo money = we'll publish your crooked studies for you. Mo money, baby, mo money. The evidence base that EBM depends upon is completely biased. Some people think I'm really anti-Pharma, but this is not really true. Big Pharma companies have a duty to their shareholders to make money. They have no duty to patients. On the other hand, doctors have a duty to patients. Universities have a duty to remain unbiased. It is the failure of doctors and universities to keep their greedy paws out of the corrupting influence of Big Pharma money that is the problem. Doctors love to blame Big Pharma companies because it takes peoples gaze off the real problem - lots of doctors taking $$$ from anybody who will pay. The pharma industry is not the problem. Bribery of university doctors is the problem - one that is easily fixed if the political will exists. Consider this study. Looking at studies in the field of neurodegenerative disease, researchers looked at all the studies that were started but never finished or never published. Approximately 28% of studies never made it to the finish line. That's a problem. 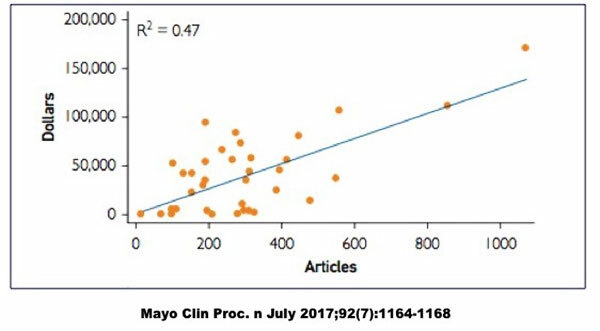 If all the studies that don't look promising for drug candidates are not published, then it appears that the drugs are way way more effective than they really are. But the published 'evidence base' would falsely support the drug. 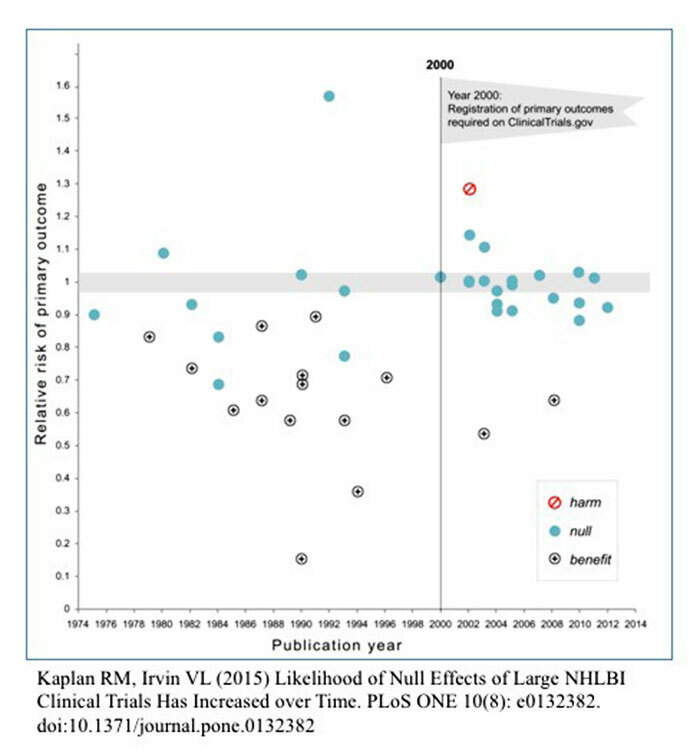 Indeed, Pharma sponsored trials were 5 times more likely to be unpublished. Imagine you have a coin flipping contest. Suppose a player call 'Big Pharma" chooses heads, and also pays the coin flipper. Every time the coin flipper pulls up tails, the results don't count. Every time it comes up heads, it counts... This happens 28% of the time. Now, instead of a 50/50 split of heads and tails, it's more like a 66/34 split of heads/tails. So the 'evidence based medicine' lover claims that heads is far more likely to come up than tails, and castigates people who don't believe the results as 'anti-science'. Evidence based medicine depends entirely upon having a reliable base of evidence (studies). If the evidence base is tampered with, and paid for, then EBM as a science is completely useless. Indeed, the very editors whose entire careers have been EBM have now discovered it to be worthless. Does the CEO of Phillip Morris (maker of Marlboro cigarettes) smoke? That tells you all you need to know about the health risks. Do the editors of the NEJM and the Lancet believe EBM anymore? Not at all. So neither should we. We can't believe evidence based medicine until the evidence has been cleaned up from the corrupting influence of commercial interests. Also known as "gifts" to doctors, is a well accepted practice. A national survey in the New England Journal of Medicine in 2007 shows that 94% of physicians had ties to the pharmaceutical industry. Sure Big Pharma can simply pay doctors directly, and it does plenty of that. It's no surprise that medical students with more exposure to pharmaceutical reps develop a more positive attitude towards them. Many medical schools have limited exposure of medical students in response, but declined to get off the gravy train themselves. 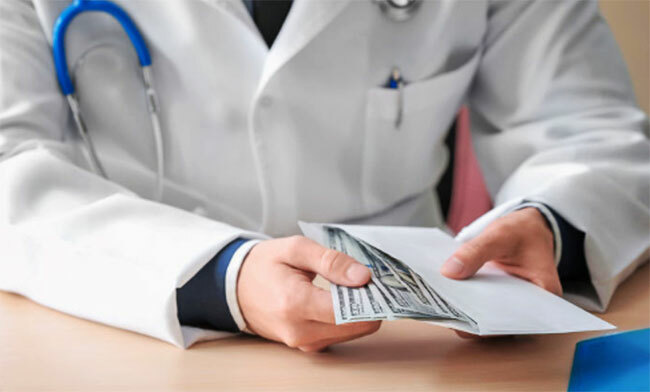 There is a simple relationship between how prominent a physician is (more articles published - almost always academic doctors and professors) and how much money they take from Big Pharma. Further, there is a 'clear and strong link' between taking industry money and minimizing the risk of side effects of medications. What, you thought people teach at prestigious institutions like universities for the good of mankind? Maybe that's why they went there, but that's not why they stay. When the evidence base of medicine is bought and paid for, people die. That is how doctors have created this opioid crisis that kills thousands of people. Pharmaceutical companies want to pay off doctors, just as drug lord want to pay off judges and police officers. We need to end it now. End the corruption of the universities.